Being in a long distance relationship requires extra efforts, one can’t deny. To me, one of the extra efforts I do is to give surprises for the boyfriend. Though it requires effort, I don’t find it a hassle though – simply because I am a planner! I love to plan, organise and arrange, and I also find happiness in knowing that the things I planned make other people happy. With the help of internet, planning a surprise is even easier! I could easily google a local bakery in my boyfriend’s town which can do online order. I made the order and the payment online, and ta-da! a surprise “thinking of you” brownies was delivered to his office. Then there’s also birthday surprise. All were done with the help of internet, no hassle at all. Anyway… yesterday I got a surprise! Yaaayyyyy! My boyfriend and his cousins successfully surprised me. I was not expecting something like this coming from him, because you know, he’s a guy and guys don’t normally plan surprises (right? hehehe). 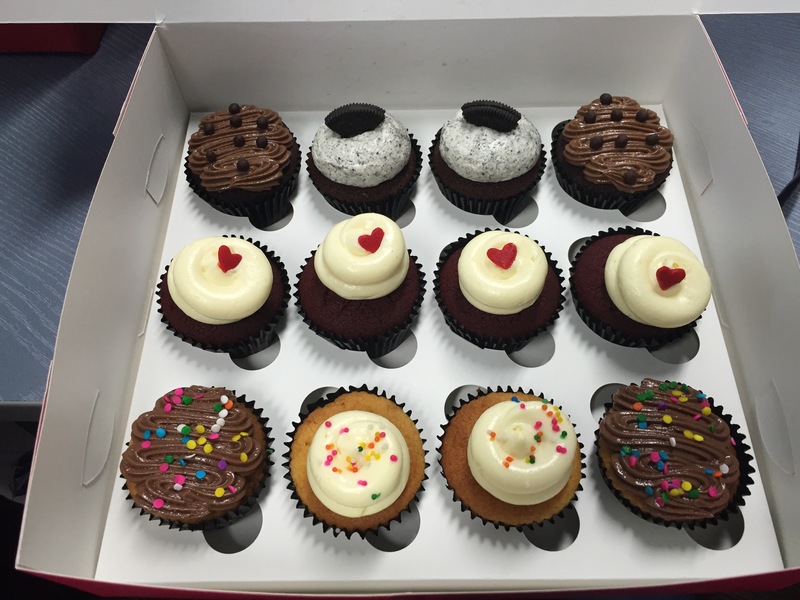 But, in the spirit of my birthday month, he decided to send me a dozen of cupcakes with a little note “it’s 21 days to your birthday“. I MELT. Really. Life is full of surprises. Haha.. so sweet!